The portable model provides flexibility and mobility with its optional battery. It features a handle for easy carrying and a compact tray that holds enough paper for an entire day. The fixed mount model is ideal for applications where mounting the printer in a vehicle is preferred. Mounting holes are provided so that the printer can be securely mounted in the vehicle. 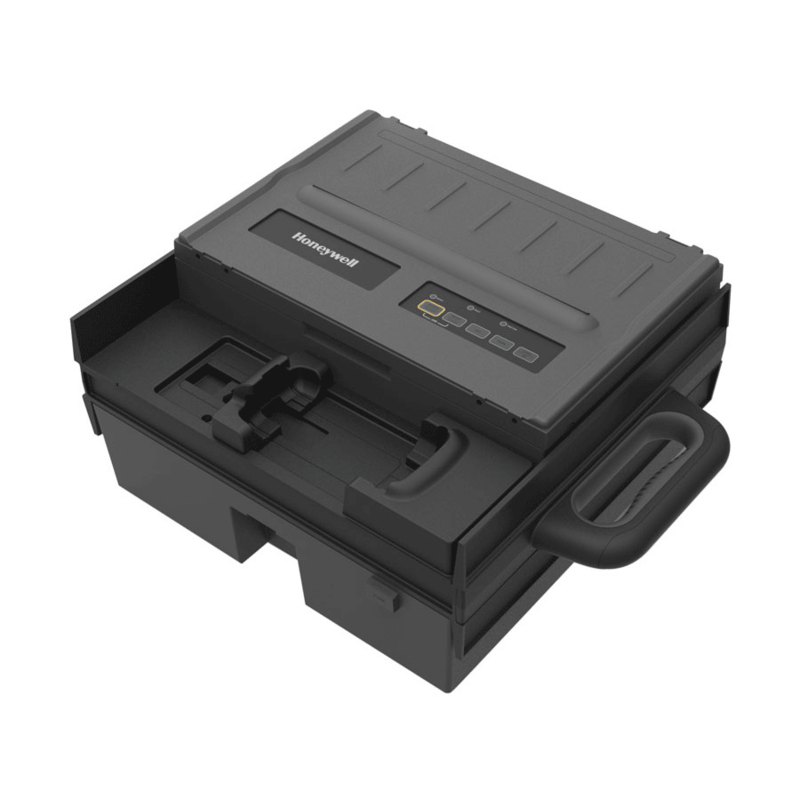 The 6824 printer comes with a choice of four computer holders supporting the most popular mobile computers for route accounting and direct store delivery applications. It can be configured for the CN70, CN75, CN51, Dolphin™ CT50 or Dolphin 99EX mobile computers from Honeywell. The 6824 printer is supported in the Mobility Software Development kits for Android™ and Windows® Embedded Handheld 6.5. Refer to the Honeywell website for more information on these kits. Comes with a computer holder for either the Honeywell CN70, CN75, CN51, Dolphin CT50 or Dolphin 99EX mobile computer. Fast eight-page-perminute print speed helps workers get their tasks done quickly and efficiently. Fixed version for use inside the delivery vehicle. Portable version with optional battery can be carried into the store. Software Development Kits available for mobility applications using the printer.